As a lifestyle photographer, I tend to stay away from staged or posed shots, and I believe that helps me capture my clients’ real personalities during our sessions together. When I saw this week’s I Heart Faces photo challenge theme was “White”, I knew immediately what photo I wanted to enter. I got so many great shots during my senior session with Katie, but this is, hands down, one of my favorites. 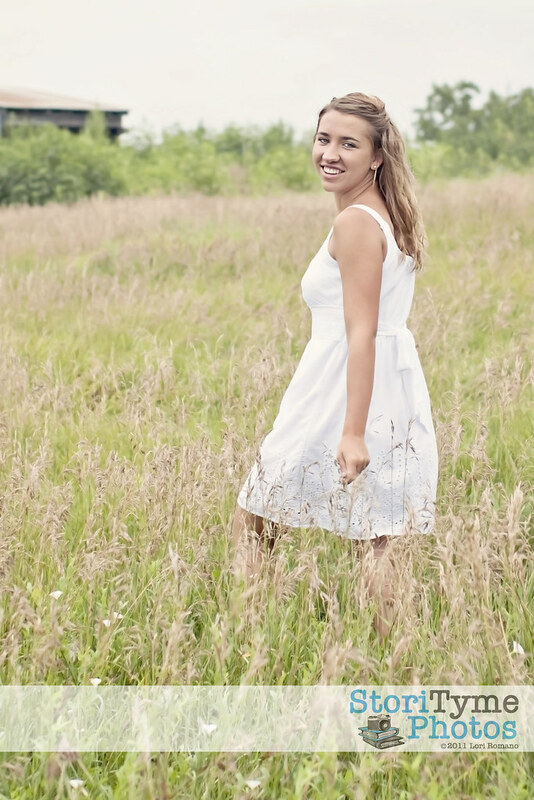 I just love everything about it–the location, the colors, Katie’s carefree expression. This is a girl who is sweet, confident, smart, strong and beautiful both inside and out. This is a girl who is going to change the world. Be sure to head on over to I Heart Faces to check out all of the beautiful entries this week. Next Entry 355 Project – Day 241 – Where Did My Baby Go? What a great capture! one I’m sure she’ll treasure! This is beautiful! I love the light, the colors, the long grass, and she is just gorgeous. That is a lovely entry. Beautiful tones. Good luck!